Both Oscar-winners have been scheduled to take a Blu-ray bow in January. In an early announcement to retailers, Lionsgate says 'Cold Mountain' and 'Shakespeare in Love' will hit Blu-ray on January 31. 'Cold Mountain' was nominated for seven Oscars with Renée Zellweger winning for Best Supporting Actress. 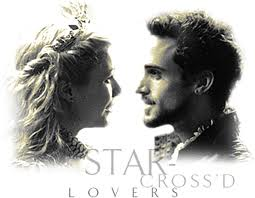 'Shakespeare in Love' was nominated for thirteen Academy Awards and won seven including Best Actress (Gwyneth Paltrow), Best Supporting Actress (Judi Dench), Best Art/Set Decoration, Best Costume Design, Best Music/Original Music/Comedy Score, Best Screenplay, and Best Picture. Specs and supplements have yet to be detailed, but suggested list price for each Blu-ray is $14.99. You can find the latest specs for 'Cold Mountain' and 'Shakespeare in Love' linked from our Blu-ray Release Schedule, where they're indexed under January 31.